Teaching Guide. Published by New York Collective of Radical Educators. 2010. 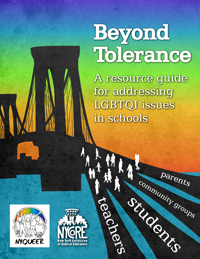 A curricular resource guide on Lesbian, Gay, Transgender, Bisexual, Questioning, and Intersex (LGBTQI) for educators. Download guide from NYCORE Google Doc page.